LabPrints named an "Essential site for Pro Photogs!" 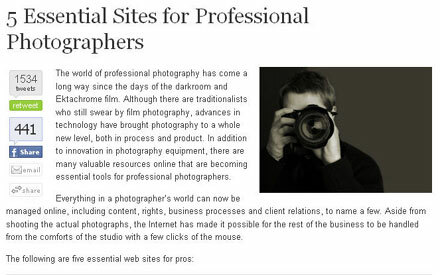 LabPrints is extremely excited to be named among "5 Essential Sites for Professional Photographers." Featured on the popular Web 2.0 blog, Mashable, the article highlights 5 essential sites for today's modern professional photographer. As an ordering tool for hundreds of labs across the country, LabPrints continues to make the professional photographer's workflow easier. We're very flattered to be mentioned in such good company.